17 October 1942: Keel laid by the Boston Navy Yard, Charlestown, Mass. 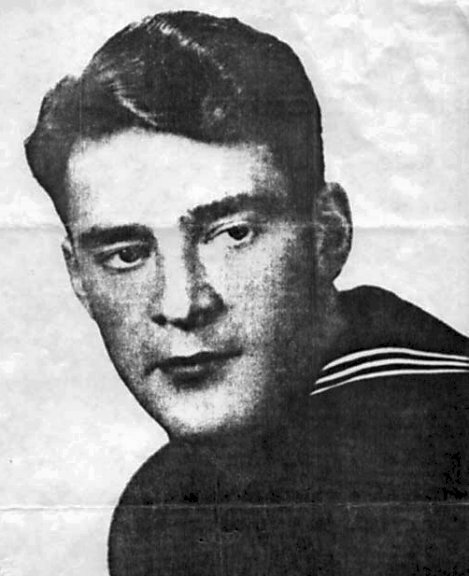 46k Lawrence Edward Wyffels was born on 20 January 1915 in Marshall, Minn. and enlisted in the United States Navy on 17 March 1936. He served in Enterprise (CV 6); and was advanced to carpenter on 25 June 1942. He was killed in enemy action on 26 October 1942 when Enterprise suffered bomb damage during the Battle of Santa Cruz Island. Disregarding his own safety, Carpenter Wyffels courageously fought the blaze ignited by bombs and repeatedly entered burning compartments to rescue the wounded trapped inside. Carpenter Wyffels was posthumously awarded the Silver Star for his intrepid devotion to duty. 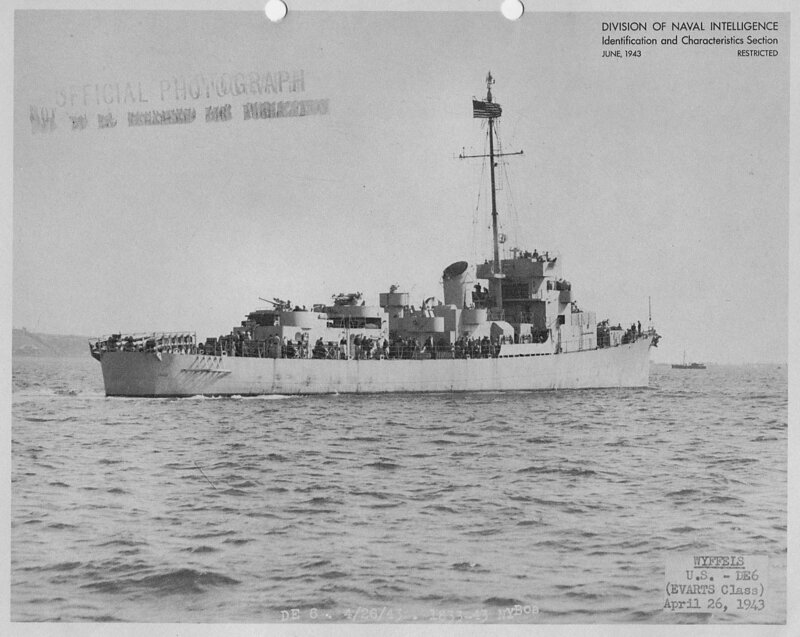 186k 26 April 1943: Boston Harbor - Starboard bow view of the newly commissioned USS Wyffels (DE 6), off the Boston Navy Yard, where she was built. 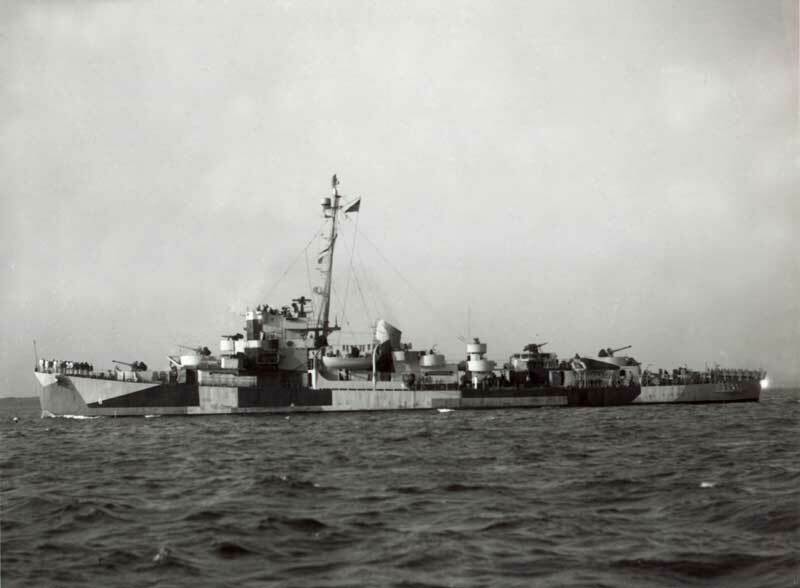 28k USS Wyffels (DE 6) on 30 August 1944 in Boston Harbor. 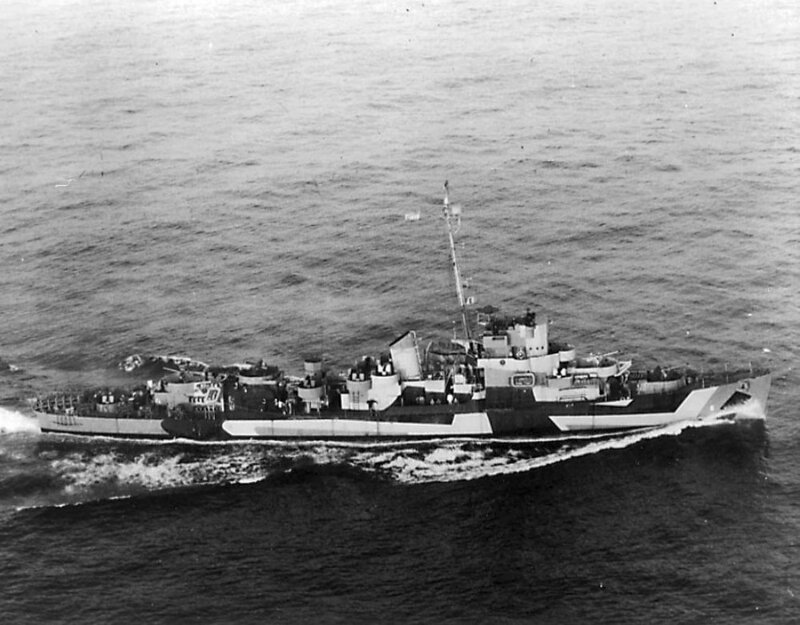 143k 06 September 1944: the Atlantic Ocean - USS Wyffels (DE 6) underway east of Cape Cod, Massachusetts (41 47'N, 69 10'W). She is wearing Camouflage Measure 31, Design 3D and was photographed from a ZP-11 blimp. 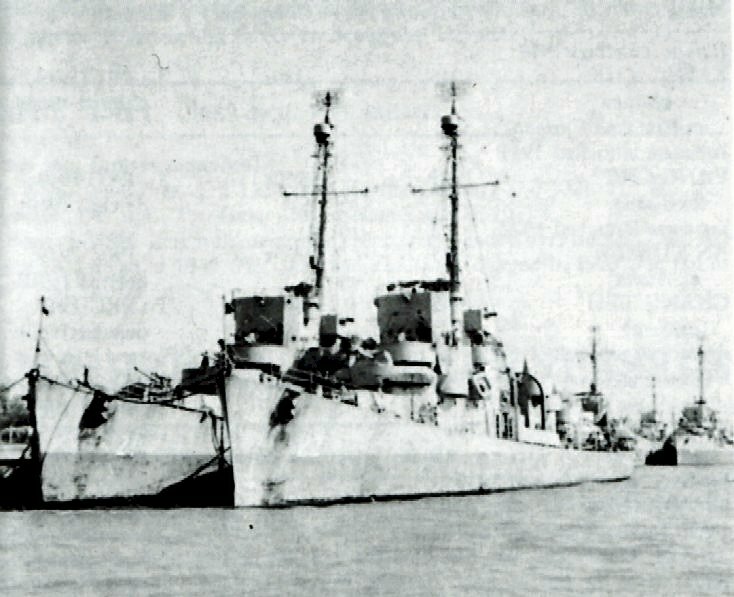 72k 04 February 1954: T'ai Kang (F-21) moored inboard of ROCS T'ai Ping (ex-USS Decker DE 47). 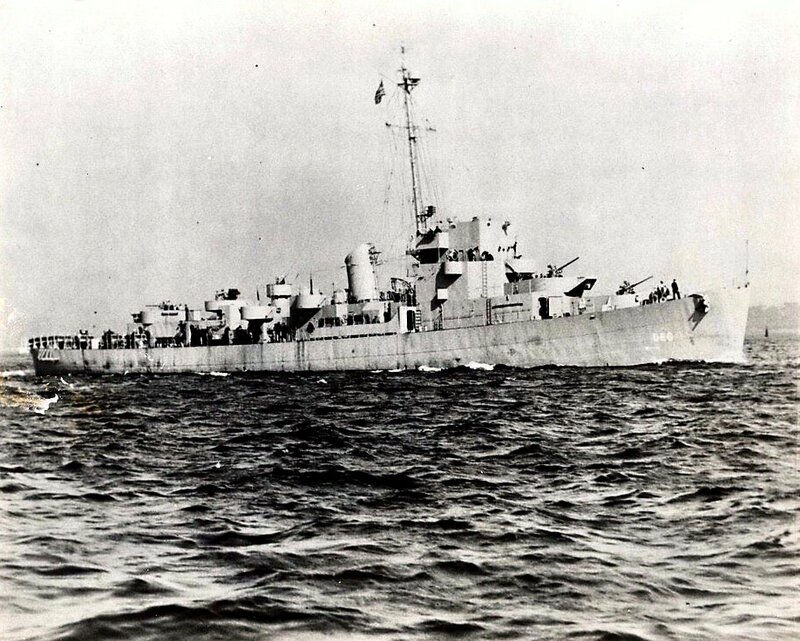 View the USS Wyffels (DE 6) DANFS history entry located on the Naval History and Heritage Command web site.